Administrative work involves a lot of things but it usually requires you to be organized and knowing how to plan things such as meetings, events, and travel. If you find that you love doing these sorts of activities in your everyday life then you can certainly apply for an administrative job. Administrative work is among the easiest - but not the least stressful - jobs. Administrative work is important because it handles the daily operations of all types of organizations. Can you imagine a company without its admin staff? Administrative staffs are there to lend support in the various work of the business or organization. There are endless specialized areas of administrative work so good opportunities to find a niche within a workforce or industry. 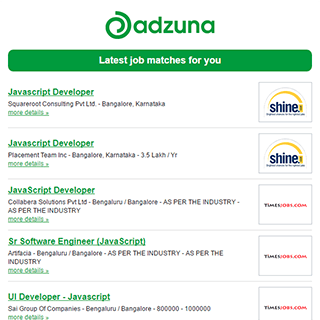 Get the latest Admin Jobs in India delivered straight to your inbox!